The Toronto Maple Leafs may have clinched a playoff spot for the first time in nine years but that doesn’t necessarily mean they deserve to be in the post-season. Just as baseball, basketball, football and many other sports are, hockey is a team oriented activity. In most cases, a team only succeeds when it plays like one. Some of the greatest victory stories have been produced by teams that don’t have a star player but managed to get the job done because they played together and won as a group, not by relying on a particular player or a specific facet of their game. This is something the Toronto Maple Leafs did not do over the course of the shortened 2013 season. Much of Toronto’s success on the ice ─ too much in fact ─ can be attributed to their goaltending. Time and time again we saw the Maple Leafs get out-shot by their opponent only to come away with the win because of spectacular goaltending. This is one of the big reasons why the Leafs are lucky to be in the post-season in 2013. @LukasHardonk Outshot 194-113 over last 5 games before last night. Leafs went 3-2. 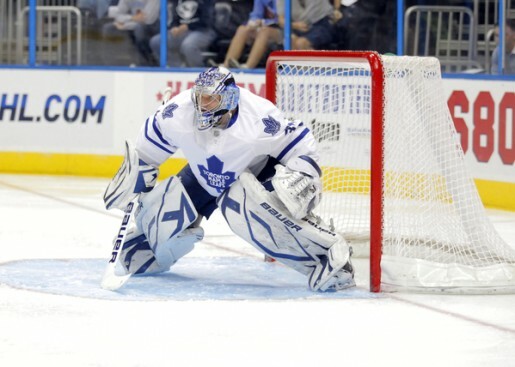 Reimer 3-1. They've won twice with just 13 shots. As noted in that tweet, James Reimer managed to go 3-1 while the Maple Leafs were badly out-shot over a span of five games. Not surprisingly, the Leafs relied on him to pull through. Toronto finished the season with an average of 32.3 shots against per game. Of the bottom 15 teams in the same statistic, 12 of them (80 percent) did not qualify for the post-season. Toronto also finished with 100 even strength goals against, putting them in 25th. Among the bottom 15 teams in the same statistic, 12 teams (again, 80 percent) did not qualify for the post-season. See where we’re going with this? The majority of the teams that missed the playoffs struggled defensively. A small minority that made the playoffs were in the better half of the league when it came to shots against per game and even strength goals against per game. The Maple Leafs were in the minority. Since James Reimer and fellow goalie Ben Scrivens played well enough to get the Leafs where they are, we can’t blame the Leafs’ defensive inefficiencies on netminding. Rather we must look at the blue line, where stability was missing all season long. One of the lone defensive stats the Maple Leafs succeeded in this year was penalty killing; they finished second in the league. This, however, should hardly be credited to the back-end. 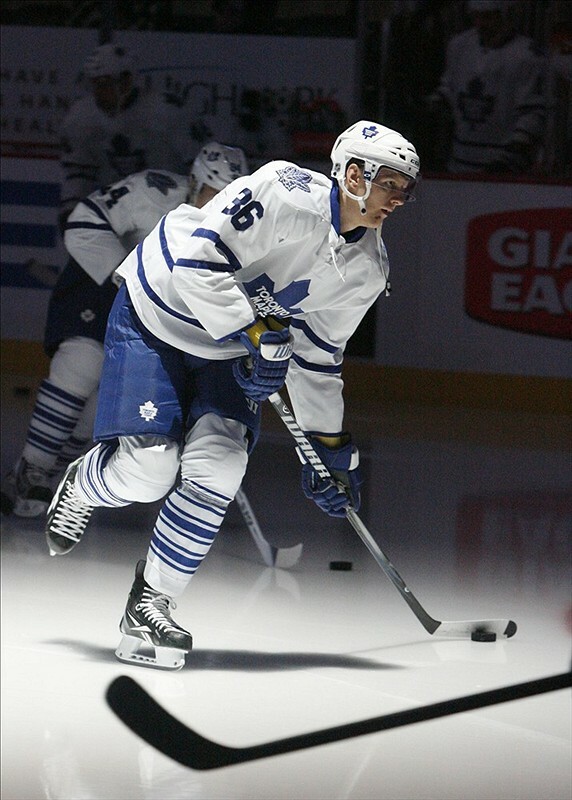 Instead it was the likes of Leo Komarov, Nikolai Kulemin and Jay McClement who did an impressive job in a large role. Dion Phaneuf and Carl Gunnarsson may have seen plenty of ice time but they didn’t quite play at the level we’ve seen them be at before, especially the latter. Then there is Mike Kostka, a former AHL journeyman who was well over-played at 22:04 a game. Kostka began the season well but visibly tailed off as it went on. Without any disrespect towards him, by no means should Kostka have continued to play such a large role with the Maple Leafs. There you have it: the Maple Leafs’ top three defenceman. After that are Jake Gardiner, a sophomore but not someone who should be viewed as an all-star, and Cody Franson, another middle-of-the-pack defender who has yet to reach his full potential. Rounding out the top-six defence corps is Mark Fraser, someone who wouldn’t have even played much in the NHL with an organization with strong defensive depth. Sliding in and out all season were John-Michael Liles, whose play has most definitely declined since he first arrived in Toronto a couple of seasons ago, Ryan O’Byrne (granted he only joined the team at the trade deadline) and Korbinian Holzer. This article certainly isn’t meant to bash the Maple Leafs’ defence group. It takes dedication and hard work to make it to the NHL and they are undoubtedly talented players who deserve to get some ice time. That said, this is not the type of group a team that regularly makes the playoffs usually enters the post-season with. Imagine an 82-game season. Some of the above-mentioned defenders are bitten by the injury bug and GM Dave Nonis is forced to call up defencemen from the Toronto Marlies. Now you have lesser qualified players getting time with the Maple Leafs while the team tries to hold on to one of the final playoff spots. Reimer begins to suffer fatigue due to the constant action he sees, rightfully begins to falter and the Leafs begin a free-fall down the Eastern Conference standings. All of a sudden it’s April and they’re five points back of eighth. It doesn’t look very promising. It’s easy to get caught up in the excitement of playoff hockey but a quick analysis of the Toronto Maple Leafs shows they are a team benefiting from a lockout-shortened season and one that likely wouldn’t still be playing hockey if it wasn’t for the work stoppage. It has allowed them to succeed while playing as individuals a little too often, relying on the goaltenders to make frequent timely saves to come away with the victory. That is not a team worthy playing into May. Visit The Hockey Writers: Maple Leafs Edition, ‘Like’ it on Facebook and follow on Twitter.